Seems a long time since Sock Sniper started, and indeed it is 2 months. Things got quite tense in the last weeks. I had no idea where my third pair of socks to finish were coming from and it was weeks before they arrived. By that point we were down to the final three: me and two Americans. The day the socks arrived, I heard on the forums that the socks knitted for me had been posted, so there wasn’t a moment to lose. 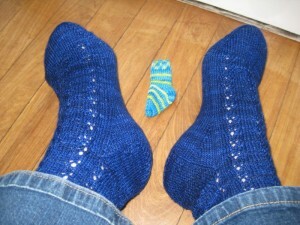 The person who had started the socks had only knitted the first leg, so there was a fair bit left to do. How fast can I knit a sock and a half? Well, I started at 11pm on Wednesday evening, knitted for an hour, then went to bed. On Thursday, I knitted all day (apart from feeding the children) and kitchenered the toe at 2.30am on Friday. They went in the post on Friday morning and I went home to rest my eyes and hands. This week I got back from a few days away, fully expecting to have been ‘killed’, but the socks didn’t arrive until Friday morning, the same day as the socks I knitted arrived in Louisiana, USA. I was killed 5 or 6 hours before the other person, but it was called as a tie by our commander in chief, since it was the same postal day. Cue much rejoicing. Now I am waiting eagerly for the prize to arrive. People keep asking me what I am going to do with 20 skeins of sock yarn. I’m guessing there will be a few people with warmer feet over the next few years. I wonder what else I can knit with sock yarn? When you get a lovely prize like this I think it is nice to share. So, leave a comment saying what you have done to deserve a free skein of sock yarn and in a few weeks (when the yarns have arrived in the post), I’ll choose the comment that amused or touched me most and post you a skein of yarn. Do you want to see the socks that killed me? Aren’t they a glorious colour? I must figure out sometime just how many pairs of socks I’ve knitted and sent round the world. It’s quite a few now. I love both pairs of winning socks, lovely. Well done you x I participated in sock wars some years ago when I first discovered sock joy! 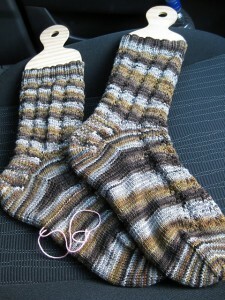 I use sock wool to knit shawlettes as well as socks. 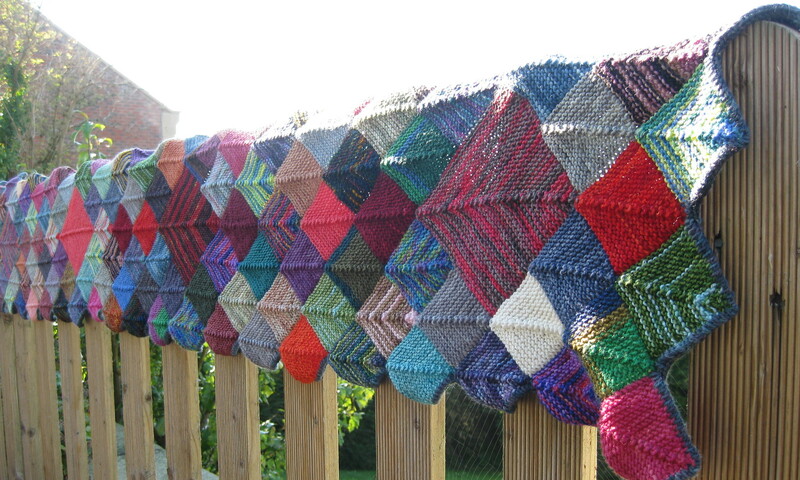 Lots of lovely patterns on ravelry. Thanks Michelle. You don’t have to have done anything amazing to be considered. Just think of a reason. Could be pragmatic or creative. Well, as I’m responsible for getting you into sock knitting in the first place I think that’s very amazing!